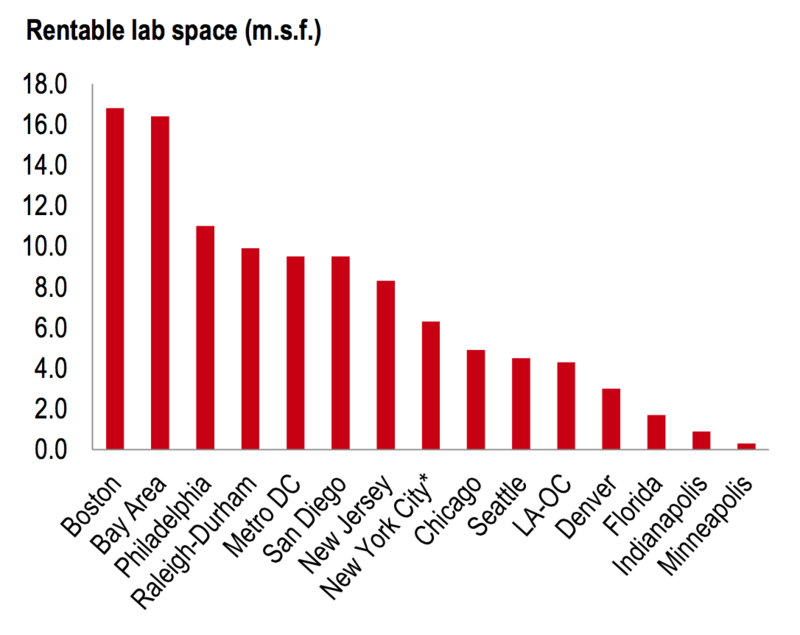 According to JLL’s 2015 Life Science Outlook, the Greater Boston area is ranked as the #1 life science cluster in the United States, which shouldn’t come as a huge surprise. This ranking is a result of things like life science employment concentration and growth, establishment concentration, and venture capital funding. Lexington, much like nearby Cambridge, is home to some of the top life science and biotech companies in the world. This area offers established infrastructure and access to skilled talent. Ledgemont Technology Center is no exception. Our campus is home to start-ups, CROs and global research companies including Concert Pharmaceuticals, Microchips, Pulmatrix, Shire and Tepha. Download JLL’s complete 2015 Life Science Outlook for more on what makes the Boston area such a hot bed for this industry.